VDO PRT Performance Tachometers feature multiple configurations for 4, 6, and 8 cylinder engine applications. These rugged, 10,000 RPM tachs are available in a choice of white dial face with silver bezel or black onyx dial face with a black bezel. VDO PRT Performance Tachometers are prewired and require only 4 wires for hook up. They feature an adjustable mount that allows for multiple mounting positions and angles. 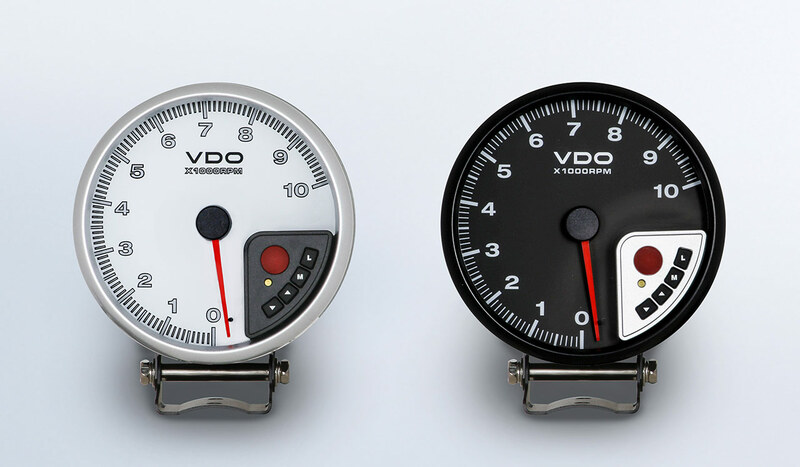 All VDO PRT tachs feature a resettable shift point and a built-in shift light indicator.